The joint accord will help undercut costs for clients that can circumvent traditional platform restraints. Vibefin Technologies, a transaction reporting automation service provider, has launched a partnership with ForexValley Technologies to help foster and extend its European Market Infrastructure Regulation (EMIR) transaction reporting solution, per a recent Vibefin statement. Vibefin Technologies services the retail sector, catering to a number of different retail and prime brokers necessitated by EMIR/ MiFIR regulatory edicts. The group’s transaction solution will be integrating with ForexValley Technologies in a bid to help automate via its comprehensive FX suite. In particular, the joint accord will help undercut costs for clients that can circumvent traditional platform restraints that are typically incurred through the use of multiple vendors. Furthermore, the versatile platform can be fully assimilated with any liquidity provider or prime broker. 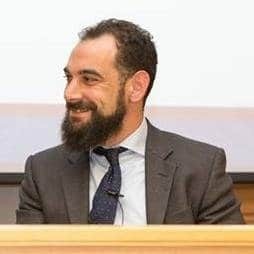 According to Andreas Zarifis, CEO of Vibefin, in a recent statement on the accord: “I truly believe we have the one of strongest solutions in the market and with ForexValley, their strength, offering and flexibility we can provide our reporting solution without the need for customers to wait for integration or incur integration costs.